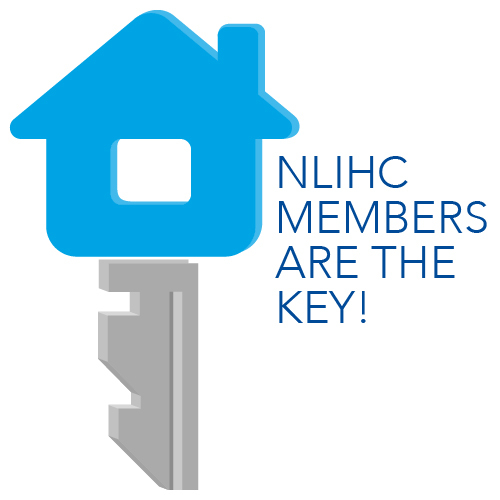 This post is from Sheila Crowley, NLIHC President & CEO. A big problem with the articles is their failure to contrast the problems identified at some HOME projects with the program’s far more numerous successes, unfairly maligning most of the people who run the program and who produce housing with HOME funds. The authors also confuse HOME with public housing, although they are two distinct programs with different origins, administered by different offices at HUD and by different local agencies, have different systems of fund allocation and accountability, and by and large serve different subsets of the low income population. HOME is a block grant to states and some localities that was created in the 1990 Cranston-Gonzalez National Affordable Housing Act (PDF). Like many federal programs of that era, it was designed to devolve responsibility away from federal agencies and give more autonomy and flexibility to state and local governments. You will hear similar language in today’s debate about the future of Medicaid. Block grants have a lot of appeal, not the least of which is that the cost is more easily controlled. For Congressional appropriators, it is more palatable to hold flat or cut block grants than to cut cost-based programs like the Housing Choice Voucher program and be faced with poor people actually losing their homes. Indeed, Congress wants to reduce HUD’s budget by cutting HOME and its larger, older (and even more flexible) cousin, CDBG, the Community Development Block Grant program. States and localities do not have to compete to get block grant funds. They just have to fill out the paperwork. Under federal law, states and localities are “entitled” to receive their block grants and spend them as they see fit within a rather broad list of eligible activities. State and local governments are run by elected officials, who are a diverse lot. Of the 641 jurisdictions that receive HOME funds, we should not be surprised that some are not run as competently as others. Capacity varies considerably. Nor should we be surprised that the process for allocating funds to grantees by state and local governments is not immune from local political pressures. It takes a bold HUD Secretary to take action against a jurisdiction for misdeeds related to block grants and most have been reluctant to do so. Low income housing advocates have been heartened by the willingness of current HUD Secretary Shaun Donovan to challenge state and local officials to do a better job. A notable recent case is when HUD rejected Texas Governor Rick Perry’s plan to distribute CDBG disaster dollars for Hurricane Ike and forced Texas to come up with a new plan that would get more money to counties with the greatest need and less money to counties run by his political allies. Much of the emphasis in the article was on the delays in completing projects funded in part by HOME. I won’t defend any of the examples cited, but I will say that our current system of developing affordable housing is so convoluted that it is a wonder there are not more delays. Virtually no project is financed only by HOME. The developer has to “leverage” funds from multiple sources, with different application processes and time frames. Leveraging is an intentional component of all federal affordable housing development programs. To leverage HOME funds requires developers to apply for several types of competitive grants from local, state, and federal government entities, as well as private philanthropy. HOME funds are usually coupled with one or another tax credit, which requires developers to find tax credit investors as well. Of course, most developers also have to borrow money from banks. Obtaining local zoning approvals and other permits present additional challenges. Community opposition can surface at any time and local politicians are notorious for succumbing to NIMBYism. Any problem in this complex system can delay or even halt a project. However, the most important fact that the Post articles miss is that even if all the HUD programs worked perfectly, there would still be hundreds of thousands of people who are homeless in the United States and millions of poor people who do not have decent and affordable homes. Today, there are 10 million American households with incomes at or less than 30% of the area median ($31,050 a year in the DC metro area) and only 6.5 million homes (PDF) renting at prices they can afford. HUD programs are grossly underfunded. This is the real scandal. That the once-proud Post is not rigorous enough to catch the errors you point out is sad but not shocking.